AIG and g4g are working together to help inspire young women in science! In October 2015, the incredible AIG-g4g Sports meets Science in the OXO Tower in London kickstarted our collaboration! Together, we linked Science to Sports, Technology and Safety and demonstrated the role played by AIG in a fun & interactive way. Since then, AIG and g4g have collectively inspired more than 700 "greenlight girls" aged 11 -15 by launching community events in London, Dublin, g4g Day events in Lithuania, Guildford UK, and NYC, and collaborated in Brussels and Barcelona. Another important event AIG and g4g accomplished together is a Design Hackathon in London. Combining hacking and design, it gives participants the chance to think about innovation. Stay tuned for so much more to come! Take a look at the cities we brought our g4g events in with AIG! In October, 100 curious and inventive girls joined us for our 2nd Design Hackathon in London! Their challenge? Create inventions of the future that would improve our lives – at home, at school & in our community. On June 6, 2018, g4g and AIG partnered up to launch in the amazing Frankfurt, Germany! 50 girls enjoyed innovative workshops and discovered what cyber-security REALLY means! In May we had an incredibly fun second event in Dublin, giving 85 girls the opportunity to discover the fun in STEM! In honor of International Women’s Day we welcomed 70 students to explore the future of innovation, robotics, and technology with invention, gaining inspiration from creative female inventors! We worked together to have our very first design Hackathon at the Southbank Centre in London. 60 girls proved that they are ready to begin innovating! In May, we took on Dublin, Ireland together with AIG. Welcoming 80 girls, we proved that science can not only be fun, but also delicious! The g4g team and the New York Chapter of AIG's Global Women in Technology (GWIT) hosted the first g4g@work event at AIG's NY headquarters for 50 girls. AIG joins a team of over 100 role-models and volunteers from different companies for g4g's biggest event of the year - g4g Day at The International School of Brussels! 70 girls for a full day of STEM discovery held at Surrey University in Guildford while learning about M&M statistics, DNA, & virtual reality! Click here for the video recap. 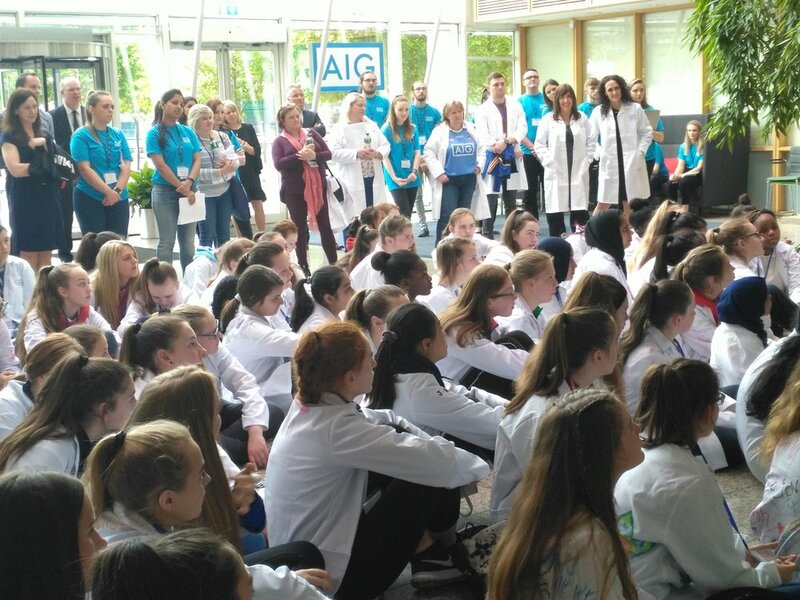 AIG and g4g launched the first signature g4g Day event in Lithuania at the beautiful & new Center for Physical Sciences and Technology & over 100 enthusiastic girls. I am always impressed by the level of enthusiasm and support from our wonderful volunteers. We wouldn’t be able to deliver these great events and engage our ‘greenlight girls’ to be inspired by STEM subjects without it. I’m also incredibly thrilled and proud that we’ve taken this ‘across the pond’ to New York City! It’s such a great continuation of our partnership with g4g. The next stop is Dublin, Ireland which we hope to coincide with our volunteering month of April! It is important to demonstrate that science (meaning science, technology, engineering and math) is linked to everything around us – and is a part of any career path you may choose to follow. 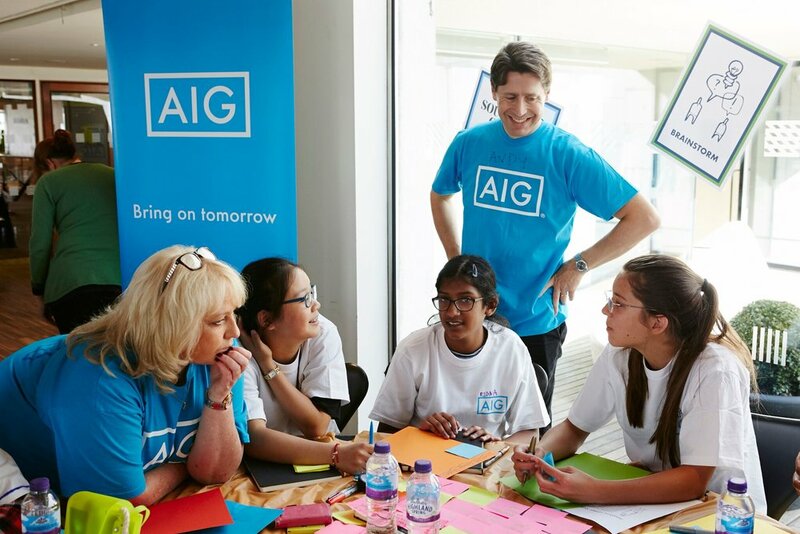 These events and our partnership with AIG is a perfect opportunity to demonstrate this link and to inspire the next generation to look ahead to their future.